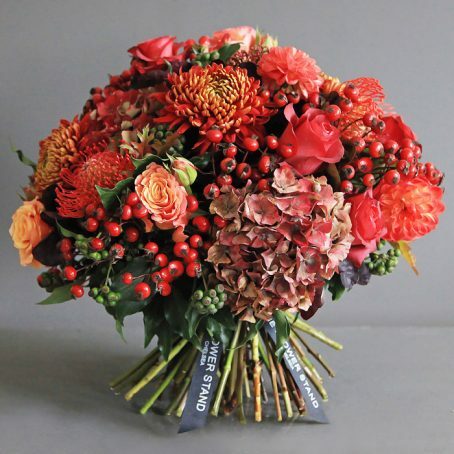 Luxury Autumnal Hydrangea bouquet, comprising Hydrangeas, Cherry Brandy Roses, Rosehip, Orange Pincushions, Blooms and seasonal foliage. 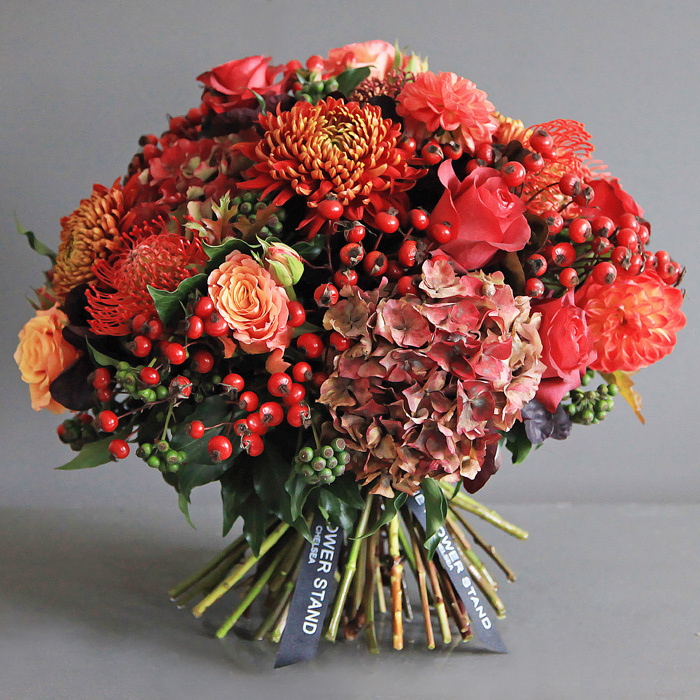 Our Chelsea florists designed this beautiful bouquet to reflect the warm, yet vibrant nature of Autumn. Incorporating orange and red hues and seasonal foliage, these flowers make the perfect gift or wedding bouquet, inspiring some seasonal joy before Winter. 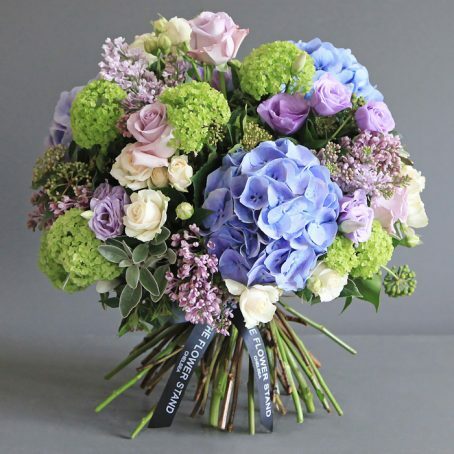 Hydrangeas are one of the most beautiful cut flowers available. Typically, Hydrangeas are grown under glass, creating consistently higher quality flowers than most outdoor plants. We condition our Hydrangeas on receipt, cutting the stems and submerging the entire flower under water for a good couple of hours. Submerging the Hydrangea heads in water allows the flowers to drink through the petals as well as the stems. 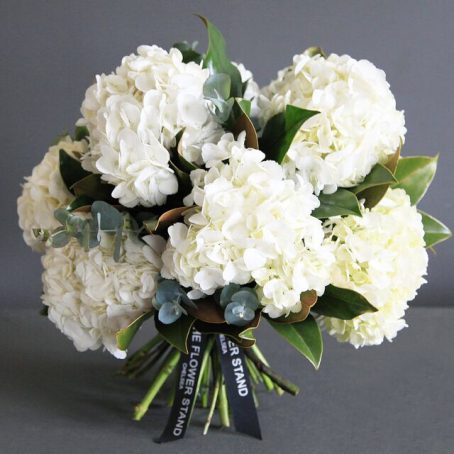 This ensures that we provide you with only the best, freshest flowers possible. 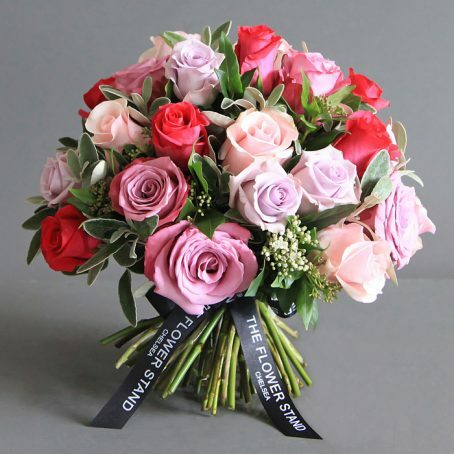 We offer same day delivery throughout London on all orders placed before 7pm. We also provide you with the option to specify a delivery date. 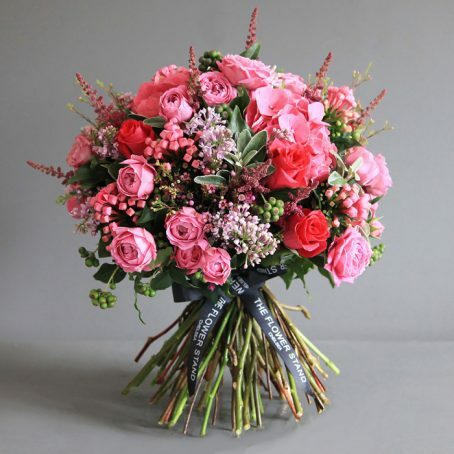 Customers can then arrange for that special someone to receive their flowers on their birthday, anniversary or celebratory day.